James Bond 007: Skyfall (2012) was filmed in a variety of film locations around the world, including Turkey, Scotland, China and Japan. But, as for every James Bond film, the home of 007 (London) gets featured at some point, too. Among the London Film Locations seen in Skyfall is London's National Gallery, where James Bond (Daniel Craig) and Q (Ben Whishaw) secretly meet for the first time (see the YouTube clip above). When I lived in London, the National Portrait Gallery (which is right next to the National Gallery) was one of my favourite and most visited places ever. I've spent ages there looking at beautiful art, attending talks and themed events, or taking part in the Friday late drop‐in drawing sessions. 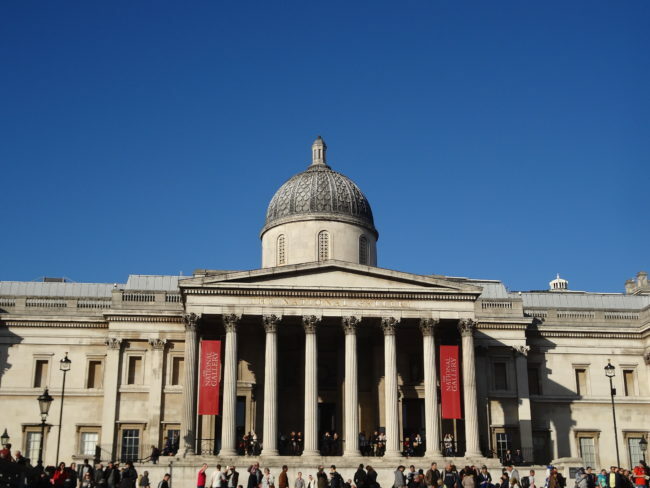 The National Gallery and the National Portrait Gallery are both located on Trafalgar Square and are free to enter. Back to James Bond: The most iconic London Film Locations for this classic movie hero can be seen on a James Bond London Film Locations tour, which is offered at certain dates throughout the year by Brit Movie Tours. Scene from "Skyfall" at the National Gallery. Photo: © 2012 – Danjaq, LLC, United Artists Corporation, Columbia Pictures Industries, Inc.
Another classic in terms of London Film Locations is the romantic comedy Notting Hill, which is set is the posh area of West London that goes by the same name as the film: Notting Hill. In the film, Julia Roberts plays a world‐famous actress who comes to London for promoting her new film and shooting the next one. One day, she meets the owner of a small independent bookshop on Portobello Road, Will (Hugh Grant), who seems to be the only person in the world who doesn't know that she is world‐famous. Most of the London Film Locations for Notting Hill can be found around Portobello Road Market. The market itself features within the storyline of the film and is also very popular with London visitors. The original bookshop that appears in the film (142 Portobello Road) and the blue entrance door to Will's flat (280 Westbourne Park Road) can also be found close‐by. And if you want to feel like you're in the Caribbean, but can't afford to go that far right now, just head to the giant street parade Notting Hill Carnival, which takes places every year during the UK bank holiday weekend at the end of August. Bridget Jones (played by Renée Zellweger) is another classic when it comes to iconic films shot in London. Most of the London Film Locations that appeared in the three Bridget Jones films from 2001, 2004 and 2016, can be found in the slightly more alternative Eastern part of the city. In all three films, Bridget lives in the same flat (8 Bedale Street, in the same building as the Globe Tavern) right next to the popular Borough Market in Southwark. It's very easy to visit this London film location. The nearest tube stop to "Bridget's flat" is London Bridge Station. From here, you can take in many of London's most iconic sights: You can, for example, stroll along the river Thames, see the world‐famous Shakespeare Globe, or cross over the equally famous bridges (ie. the Millennium Bridge). If you would like to see all the London film locations that appear in the Bridget Jones movies, you can join a guided Bridget Jones London film locations walking tour by Brit Movie Tours. This is one of my all‐time favourites of London‐set films. In Notes on a Scandal, the marvellous Dame Judi Dench plays a frustrated older teacher called Barbara who catches one of her younger colleagues, art teacher Sheba Hart (Cate Blanchett), sleeping with her 15‐year‐old student (Andrew Simpson). Because Barbara is very lonely and perhaps secretly in love with Sheba, she starts to blackmail Sheba and forces her to become her best friend. The film itself shows a different side of London than that most tourists will know. The glittering posh parts like Notting Hill are not so much on display (except for the grand house that Blanchett's character lives in as she is pretty posh by birth). 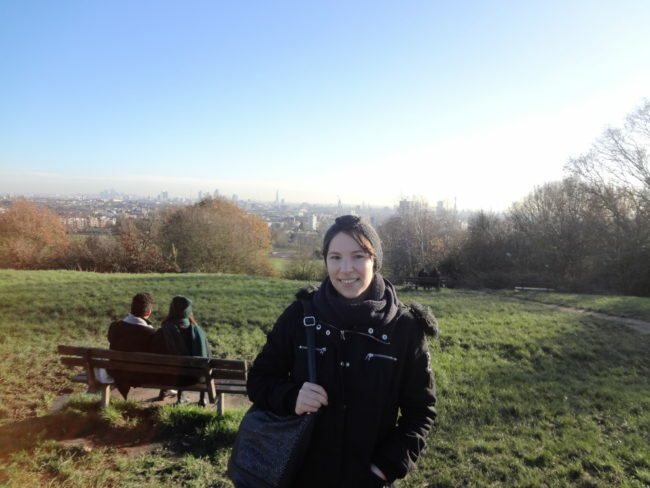 You will also see a lot of North London's biggest park Hampstead Heath. I found the exact bench that Dench and Blanchett sat on and enjoyed the view over London's City when they needed a break from teaching. Splendid indeed! 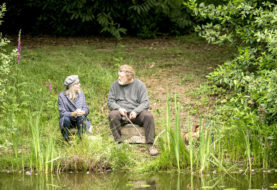 Other films that were shot at Hampstead Heath include the drama‐comedy Hampstead (2017) and the period drama Belle (2013). 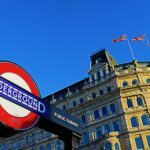 The London Film Locations of Kingsman: The Secret Service and its sequel Kingsman: The Golden Circle can be found all over the city. If you ever happen to be on the posh Savile Row (located just off London's main shopping street Regent Street between Oxford Circus and Piccadilly Circus), try to find the Huntsman store, which was the film location for the Kingsman tailer shop and secret headquarters (11 Savile Row). If you then head towards South London on the tube and get off at Kennington station, you will find the Black Prince Pub (6 Black Prince Rd), which featured as the film location for the epic umbrella pub fight scene. 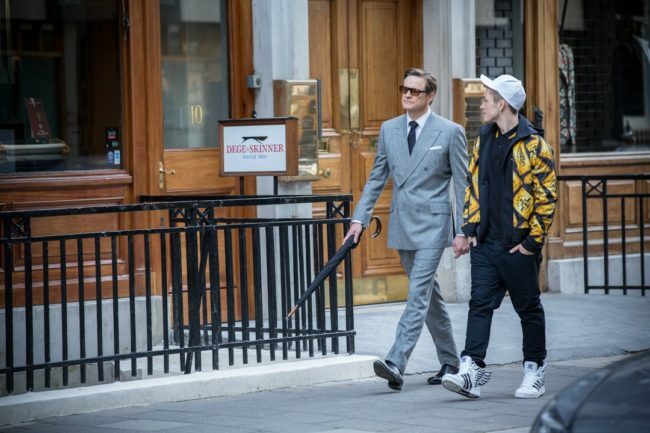 Furthermore, it can also briefly be seen when Eggsy and his friends race by the pub with some (stolen) cars. While you are here, you can also easily combine your pub / film location visit with a visit to the nearby Tate Britain – one of London's most popular museums. Just like the National Gallery, the Tate Britain charges no entry fees. Ready to explore London for yourself? 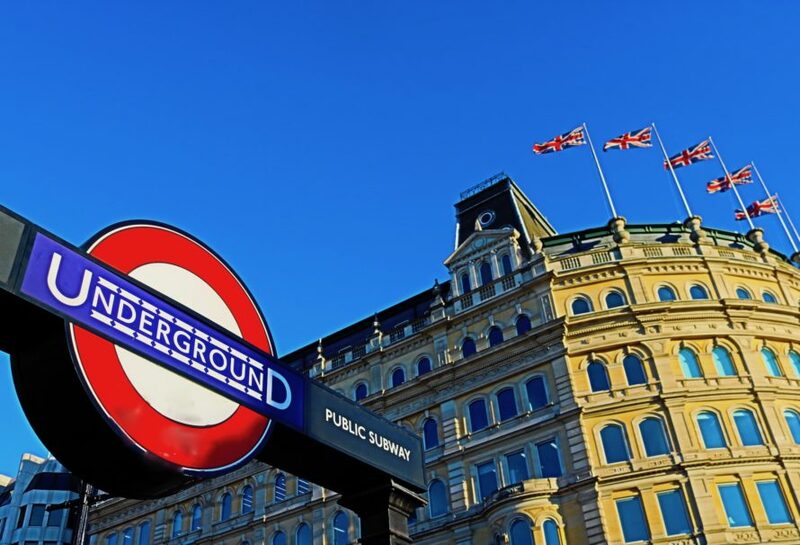 Get the London Pass, save money on all of London's main attractions, and start discovering this amazing city through its famous film locations! Over to you: What are your favourite London film locations? Leave a comment below. I'm all ears! Disclosure: This blog post includes an affiliates link to the londonpass.com. If you click on this link and buy a pass, I will receive a small affiliate fee, which I will use for the costs of running my website.